The JNP Project Company has a rich tradition of bringing great stories, characters and experiences to our guests around the world, and our sites and applications are created to entertain and connect guests with the best that we have to offer on the platforms and devices our guests prefer. • We collect information through technology, such as cookies, Flash cookies and Web beacons, including when you visit our sites and applications or use our applications on third-party sites or platforms. Please visit Online Tracking and Advertising for further information, including how to disable cookies. • We acquire information from other trusted sources to update or supplement the information you provided or we collected automatically. Local law may require that you authorize the third party to share your information with us before we can acquire it. You may exercise your controls and choices, or request access to your personal information, by following instructions provided in communications sent to you. Please be aware that, if you do not allow us to collect personal information from you, we may not be able to deliver certain products and services to you, and some of our services may not be able to take account of your interests and preferences. If you have questions regarding the specific personal information about you that we process or retain, please contact Guest Services. In your request, please specify the member of The JNP Project Family of companies to which your request pertains. 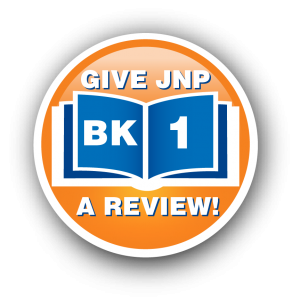 If no member is specified, we will treat your request as pertaining to JNP Online. Member. Member means a subsidiary or affiliated entity that is part of The JNP Project Family of Companies. Public Forums. Our sites and applications may offer message boards, conversation pages, blogs, chat rooms, social community environments, profile pages, and other forums that do not have a restricted audience. If you provide personal information when you use any of these features, that personal information may be publicly posted and otherwise disclosed without limitation as to its use by us or by a third party. To request removal of your personal information from a public forum on one of our sites or applications, please send an email to EsteemMovement@theJNPproject.com. © The JNP Project. All rights reserved.